Mantis returns! The out-of-print vinyl has been remastered, pressed onto bright green vinyl, and is now available for your listening pleasure. Each LP will include an mp3 download for the remastered album + 11 bonus tracks. The bonus content is rich in behind-the-scenes audio from the 2008 recording sessions, including making-of commentary, alternate song takes, original demos, and more. 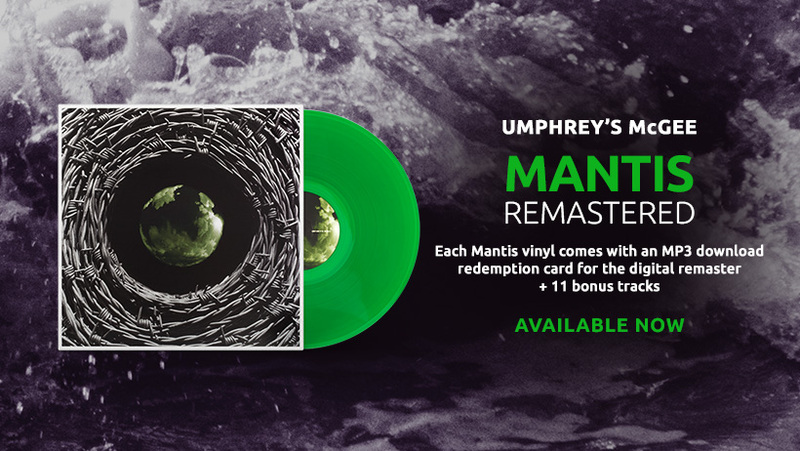 Mantis Remastered is a worthy addition to any audiophile’s Umphrey’s McGee vinyl collection.